(Reuters) – Australian Prime Minister Tony Abbott said on Wednesday that he was ordering a crackdown to prevent radical Islamist preachers entering the country, amidst rising tension with the Muslim community following a series of security-related raids. 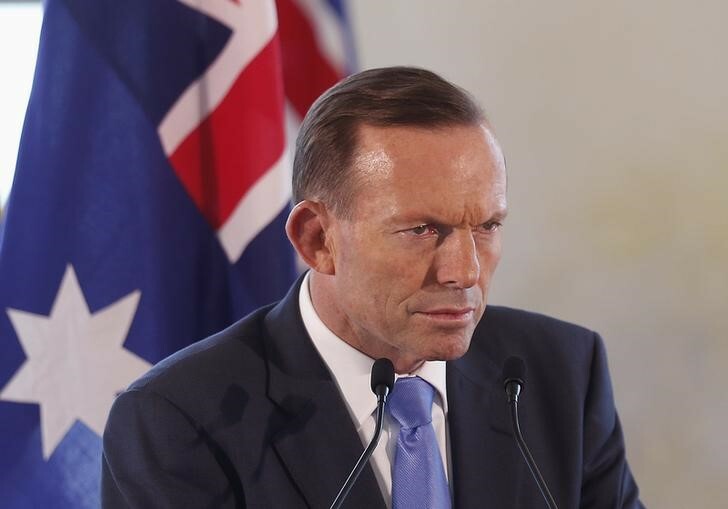 Abbott, who recently warned that the balance between freedom and security “may have to shift” to protect against radicalised Muslims seeking to carry out attacks, said hate preachers would now be “red-carded” during the visa process. The tougher new system, which he said would not require new legislation, comes on the heels of a public meeting in Sydney last week by Hizb ut-Tahrir, an international group that says its goal is to establish a pan-national Muslim state. Conservative commentators have seized on the speech to urge greater restrictions on radical preachers. “What we want to do is to ensure that known preachers of hate do not come to this country to peddle their divisive extremist message,” Abbott told reporters in Sydney. Officials believe up to 160 Australians have been either involved in fighting in the Middle East or actively supporting groups fighting there. At least 20 are believed to have returned to Australia and have been said to pose a security risk.